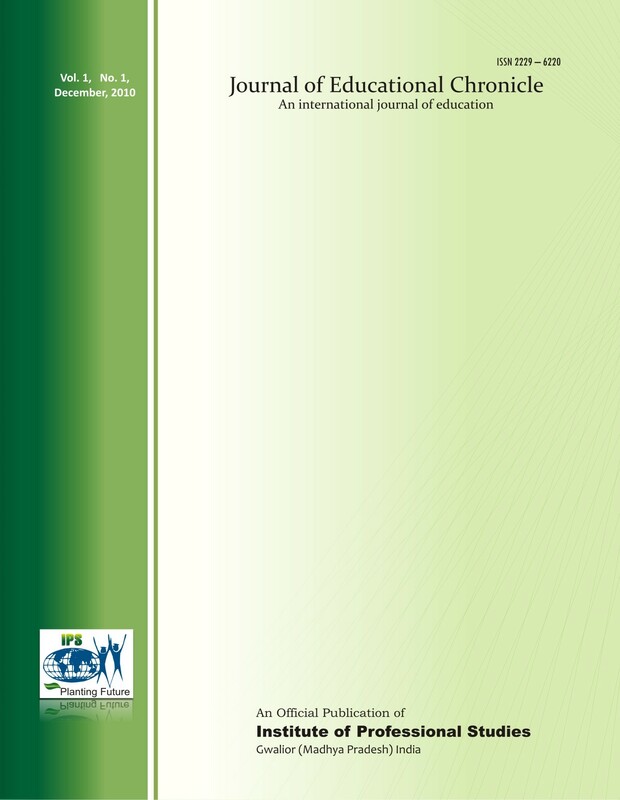 "The JOURNAL OF EDUCATIONAL CHRONICLE is visionably established as an innovative and contributive leading stepping stone in the arena of educational research. It will attempt seriously to adjoin the gap between research and practice, providing information, ideas and opinion. The research findings will play a key role in developing the applicable functional theories and principles by availing in the form of publication. JOURNAL OF EDUCATIONAL CHRONICLE is a bi-annually published International Journal dedicated to research and investigations in Educational fields. It is a peer-reviewed multi-disciplinary Educational online and print publication, scheduled to appear half yearly and serve as a means for innovative information exchange in the International educational and research forum. The Journal publishes full length research papers and research articles that are well grounded in the Educational and Physical Education allowing access to abstracts and full-text.